Arundhati Roy talks to James Naughtie and readers about her Booker Prize-winning novel The God of Small Things. Arundhati Roy talks to James Naughtie and readers about her Booker prize winning novel The God of Small Things. It's Arundhati Roy's first and so far only book of fiction and it took the literary world by storm, winning the Booker Prize in 1997. It's a story about the childhood experiences of fraternal twins whose lives are destroyed by the "Love Laws" that lay down "who must be loved, and how, and how much". The book is a description of how the small things in life affect people's behaviour and their lives, and with a love affair between characters of different backgrounds, shows how cruel the caste system could be. 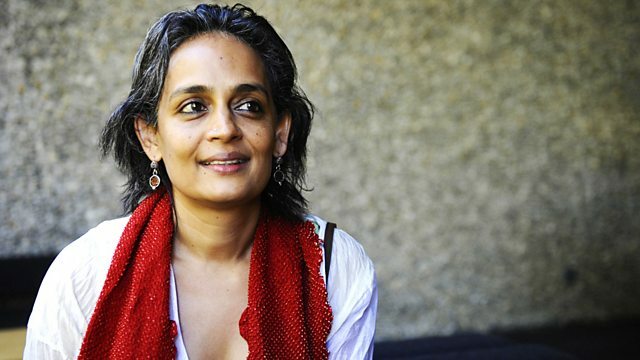 Arundhati Roy talks about why she's never written fiction since, and how she's not ruling out a return to the genre. She describes how her training as an architect was useful in the planning of this multi-layered story, with its complex time frames which owe a debt to James Joyce's Ulysses. November's Bookclub choice : The Wasp Factory by Iain Banks.